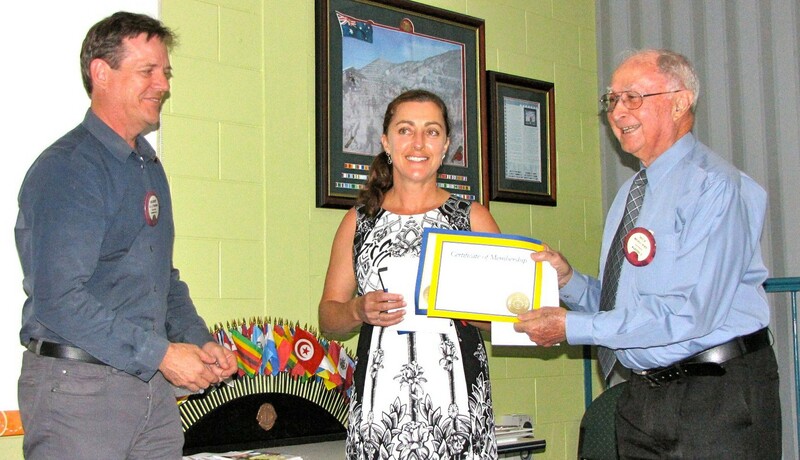 I received a post on Facebook today that Mareeba Lions Club have inducted their first woman into the club. Many comments of congratulations followed, by more than one noting; “It’s about time”. Of course it is, but the most important thing for Mareeba to celebrate is that it has happened, and that Mareeba is actively looking for many more women to help them in their humanitarian work. Here is my current column from The Lion, which is coincidentally about the same topic. At the end I can give you nine million reasons to be optimistic! This week I was happy to receive a communication from a former Council Chairperson of Lions, informing me that a number of Lions had been recognised in the NSW Department of Primary Industries Hidden Treasures Honour Roll 2014. This celebrates women volunteers who give to rural communities, and this year the accomplishments of six Lions and one Lioness were acknowledged. The day before, I had the pleasure to attend a seminar held by the Australian Institute of Company Directors and the speaker was Lieutenant General David Morrison AO, Chief of Army. Morrison spoke about the challenge of cultural change within the military and his particular passion to increase the demographic diversity of the Army; reaching out to Australians of differing backgrounds, social and cultural groups, and particularly to increase recruitment of women. Lions value exactly the same assets within our organisation. Lions Clubs are nothing without our people and the asset our community’s value most is our capability. Our slogan “we make things happen” embodies that ethic – and our history proves the truth of it. We are open to men and women, however the number of women in our organisation is well below what it should be, and some clubs have no women at all. There is no greater challenge to our success than to grow in number, diversity and capability and for that to happen, we need to ensure that we actively seek interest from 100% of the population, young people, working people, retirees, men and women. Women have always been a part of Lions – through our Lioness projects and as supportive and active partners of men who are Lions. What we need to do, however, is to build the ranks of women within our clubs as full members. We are doing better than some of our peers, but there is much opportunity to extend this work. We should remember too, that many capable women we recruit will bring with them a supportive partner, son or daughter who can be encouraged to become part of our Lions family. Nine million reasons to be optimistic? That’s roughly the number of Australian women over the age of 18.